There is also a vegetarian option with the Mushroom & Ricotta pizza; roasted garlic mushrooms, ricotta cheese & Roquito® peppers on the Leggera multigrain base. Absolutely gorgeous and less than 400 calories. It’s also the perfect portion for one person, so no cheeky leftovers to tempt you. Both pizzas are packed full of veggies to get you closer to that five-a-day target – a crisp side salad using the delicious PizzaExpress House Light dressing would be the perfect accompaniment for this meal. 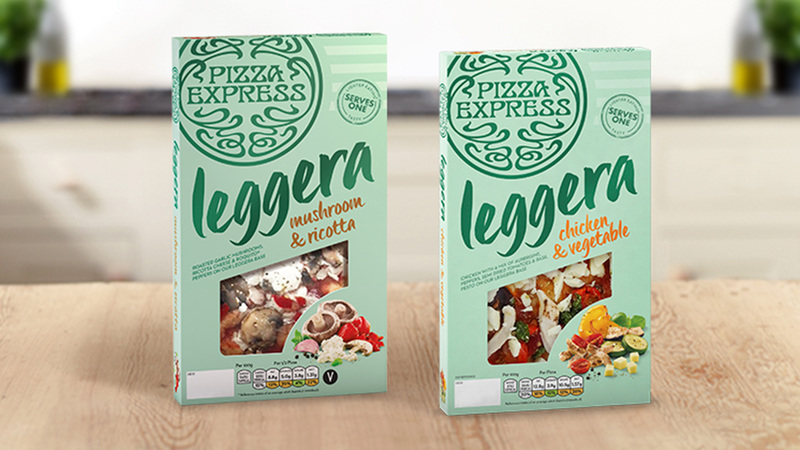 And, fans of the Leggera range, rejoice: soon to be hitting the supermarket shelves is the all-new range of Leggera salad dressings, so keep your eyes peeled! Find the outstanding Leggera range at Tesco and Booths.